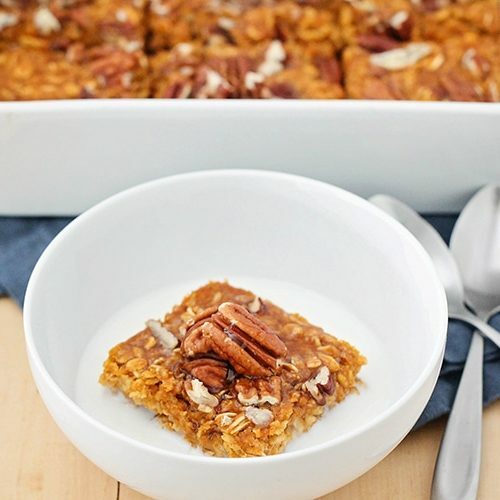 These crisp and chewy one-bowl oatmeal breakfast bars are packed with delicious ingredients, and are super easy to make. 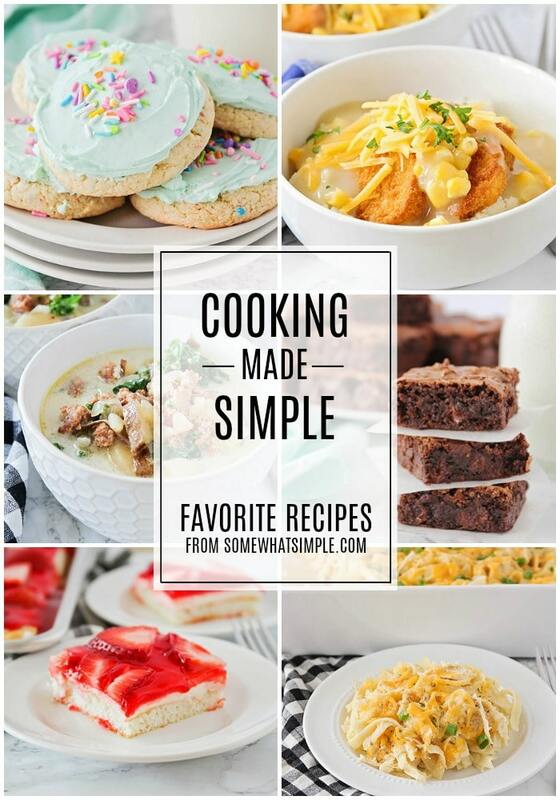 They’re perfect for an easy meal on the go, or a filling afternoon snack! First, prunes taste DANG GOOD! I mean, I never disliked the taste, but I honestly didn’t purchase them often enough to realize how much I love them! Second, prunes are SO GOOD FOR YOU! Prunes are high in vitamins, potassium, and iron. Prunes build stronger bones and muscles. Prunes help reduce your appetite. Third, eating prunes will not cause excessively loose stools! I was worried. We had prunes at every meal at this event for almost 2 full days. BUT we were told you could eat 10-12 prunes a day and not notice any significant change – and it must be true because all of us (to my knowledge anyway!) were just fine! Lastly, there are SO MANY delicious flavor pairings with Prunes! 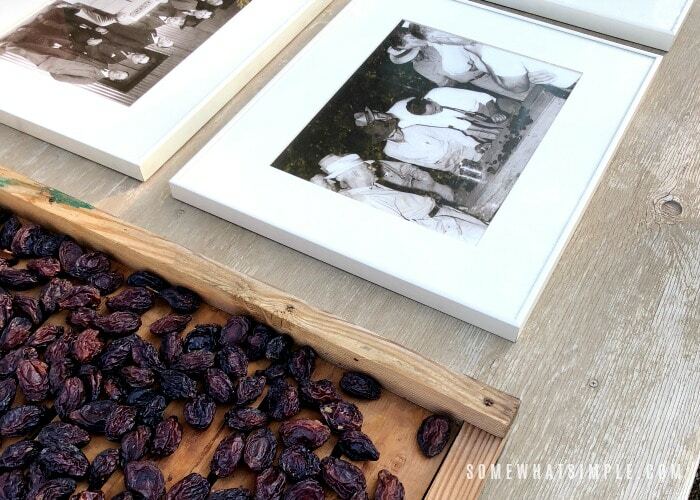 One of my favorite parts of the event was learning some of the delicious pairings for prunes. Prosciutto, dark chocolate, goat cheese and arugula … some of these flavors I would have never thought of, but with the exception of anchovies (yuck!) and beer, I seriously loved every pairing presented! 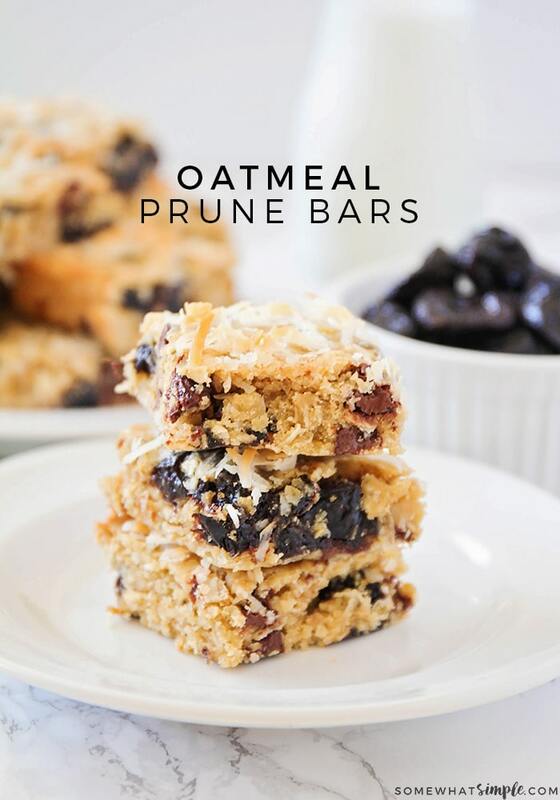 After my trip I started experimenting a bit with some different ways to eat prunes and today I want to share with you a delicious breakfast bar recipe that is AMAZING! Now that it’s officially fall, I have definitely been bitten by the baking bug! When it’s chilly outside, there’s nothing better than a warm treat, fresh from the oven (and maybe a cup of hot chocolate on the side). 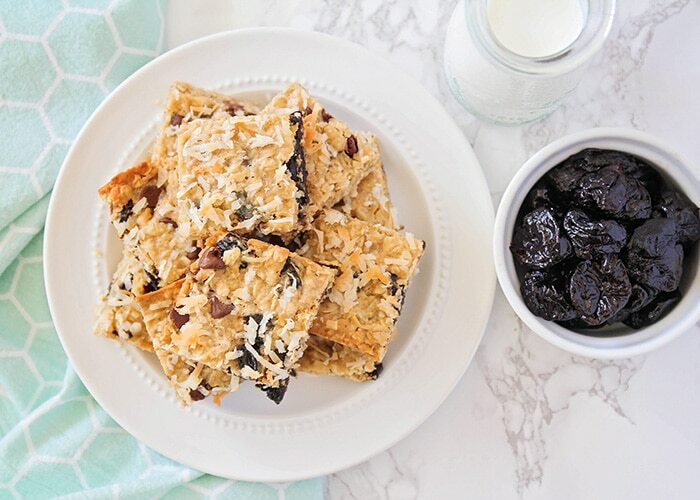 I often find that the simplest recipes are my favorites, and these delightfully chewy and crisp oatmeal prune bars are no exception. 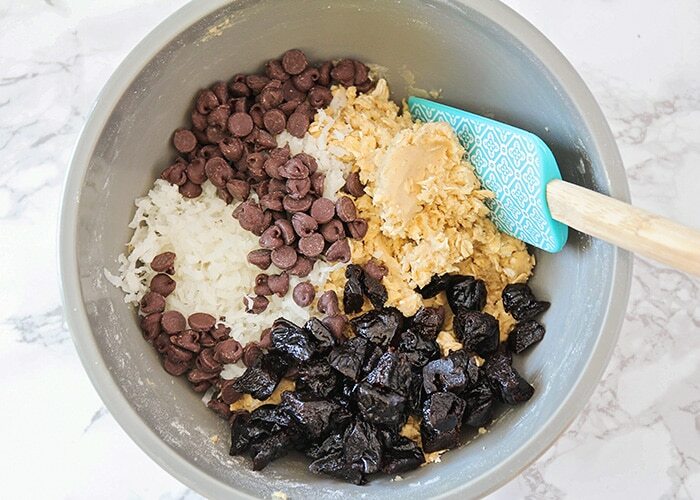 The dough has only six ingredients, plus a few delicious add-ins, and I love that it mixes up in one bowl, for easy clean up! I made these with a hand mixer, but you could easily use a stand mixer or even just mix the dough by hand. I love how each of the add-ins adds something different to the dough. 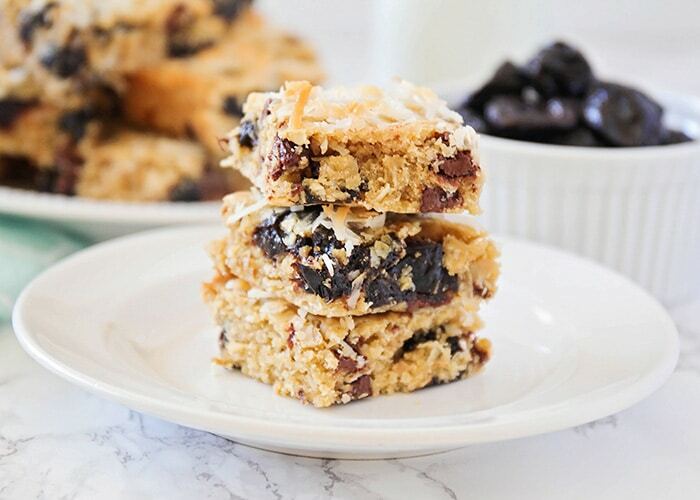 The coconut makes them extra chewy and adds some tropical sweetness, the chocolate chips make them indulgent, and the prunes help keep them moist and tender plus they add some great flavor. 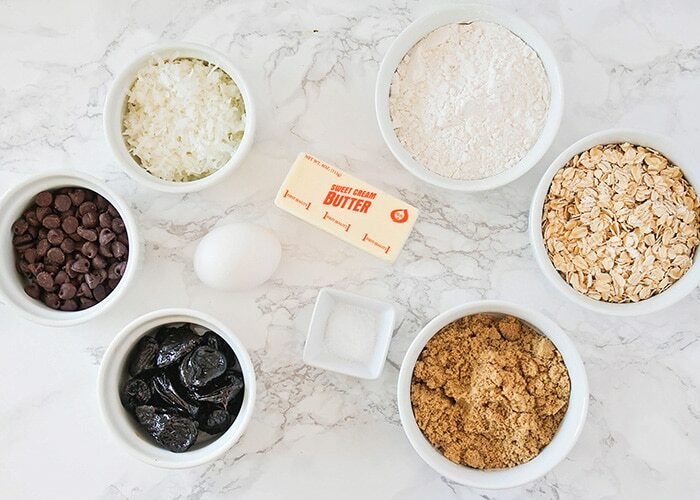 I chopped my prunes into quarters to help them distribute through the dough more evenly, but you can chop them larger or smaller depending on your preferences. Once the dough is all mixed together, spread it in a 9 x 9 baking dish. I like to line the dish with parchment to make the bars easier to pull out, but greasing the dish works well too. 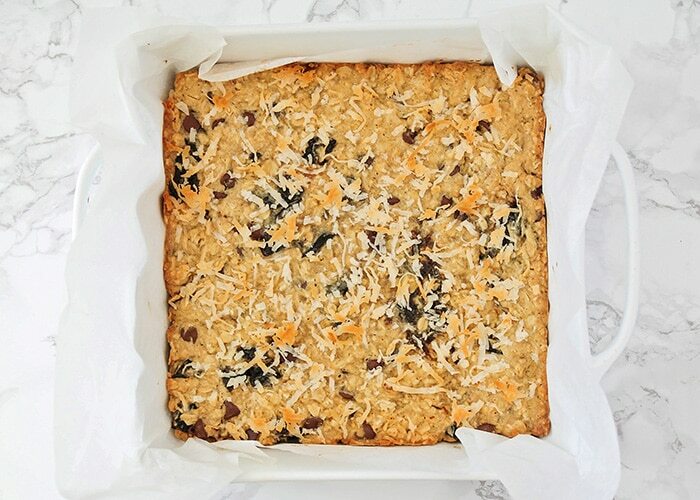 I also sprinkled a little extra coconut on top, because I love that it gets golden brown and toasty in the oven! 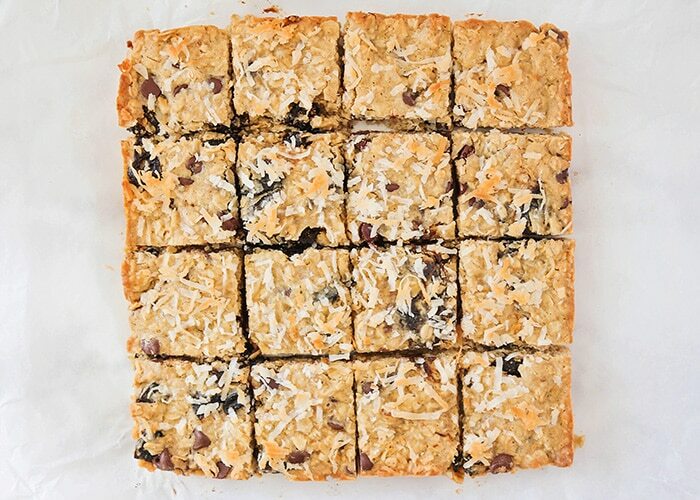 Bake the bars for 24-28 minutes, or until they’re golden brown on top. 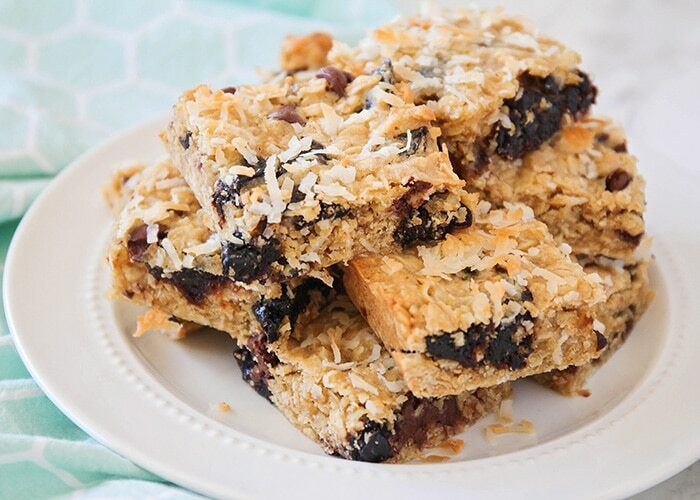 They smell so good while they’re baking… yum! 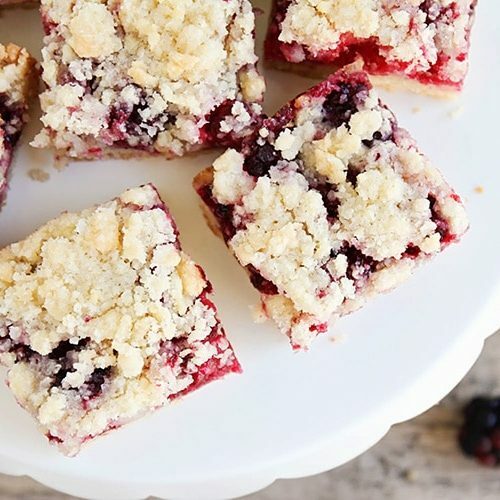 Let the bars cool, then cut them into squares and enjoy! 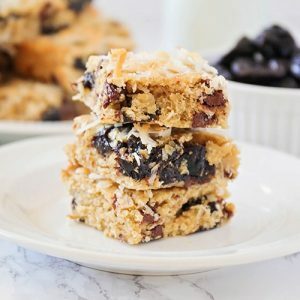 These bars have such a unique and delicious combination of flavors, and the prunes, coconut, and chocolate chips blend together perfectly. They really are so yummy! 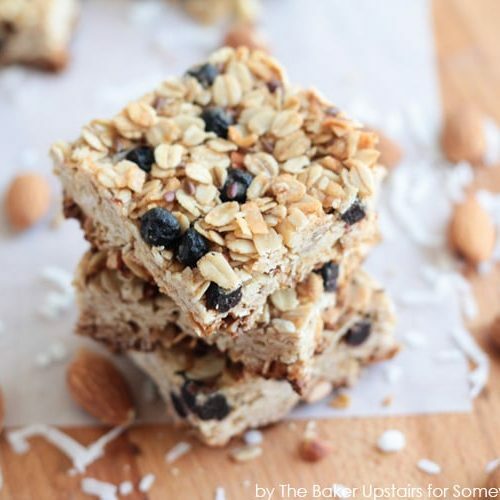 My kids absolutely love these bars, too! I also like that they have enough wholesome ingredients in them that I don’t feel so guilty about the butter and brown sugar. They’re all-around delicious! In a medium bowl, cream the butter and brown sugar until light and fluffy. Add the egg and mix until combined. Add the flour, oats, and salt, and mix until combined. 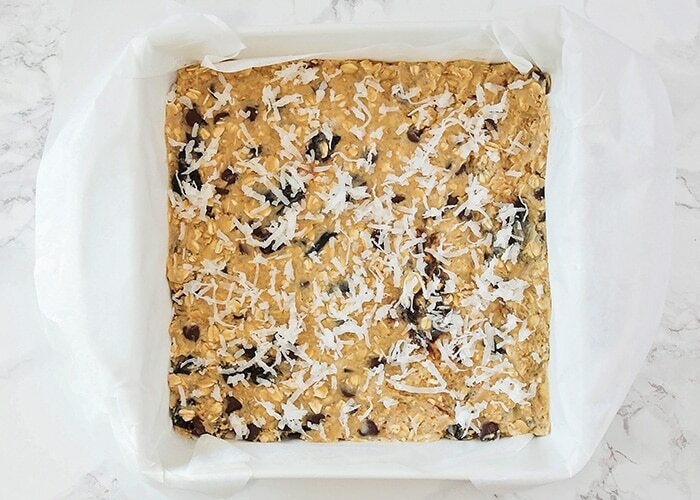 Fold in the prunes, chocolate chips, and shredded coconut. Spread the mixture in a greased or parchment lined 9 x 9 baking dish. Bake 24-28 minutes, or until lightly browned on top. Let cool before slicing. 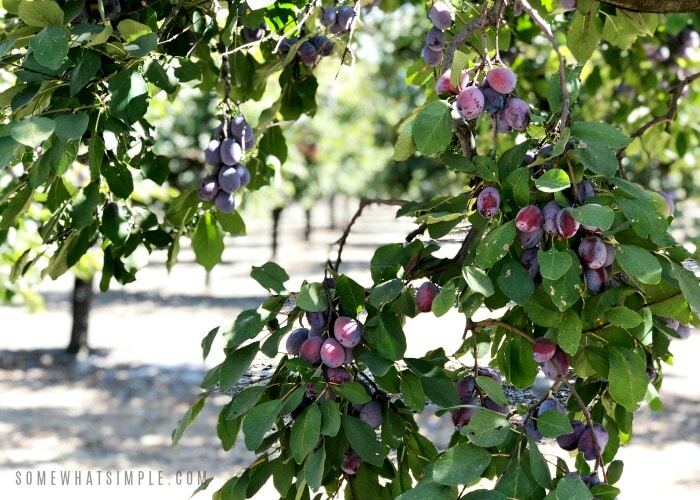 For more delicious prune recipes and nutrition information, visit California Dried Plums, and be sure to check them out on Facebook as well! I had a blast! It was so much fun getting to meet everyone. Thanks so much again for the invite!